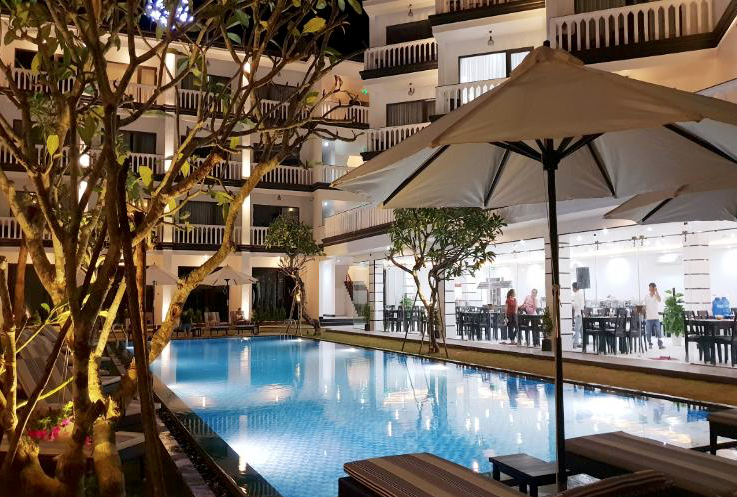 You will be staying by the river, walking distance to the UNESCO Heritage town of Hoi An in a 4 star locally run Hotel with pool. Early Mornings are spent cycling through rice fields, enjoying yoga/meditation on the beach and having breakfast in the locals market (fresh fruit smoothies, delicious local coconut, noodles and Vietnamese coffee). 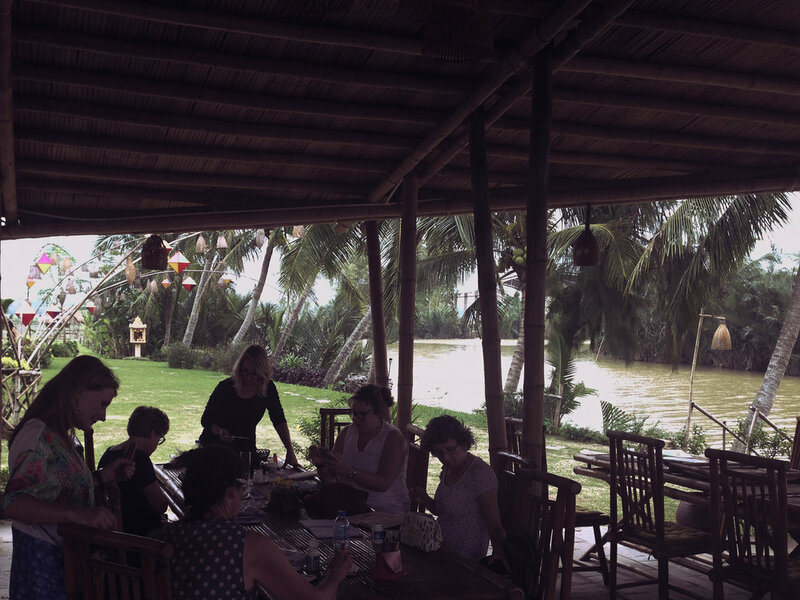 We meet for a Creative Workshop in the mornings, especially tailored to capture the stunning historical town of Hoi An, its people, lifestyle and the food. 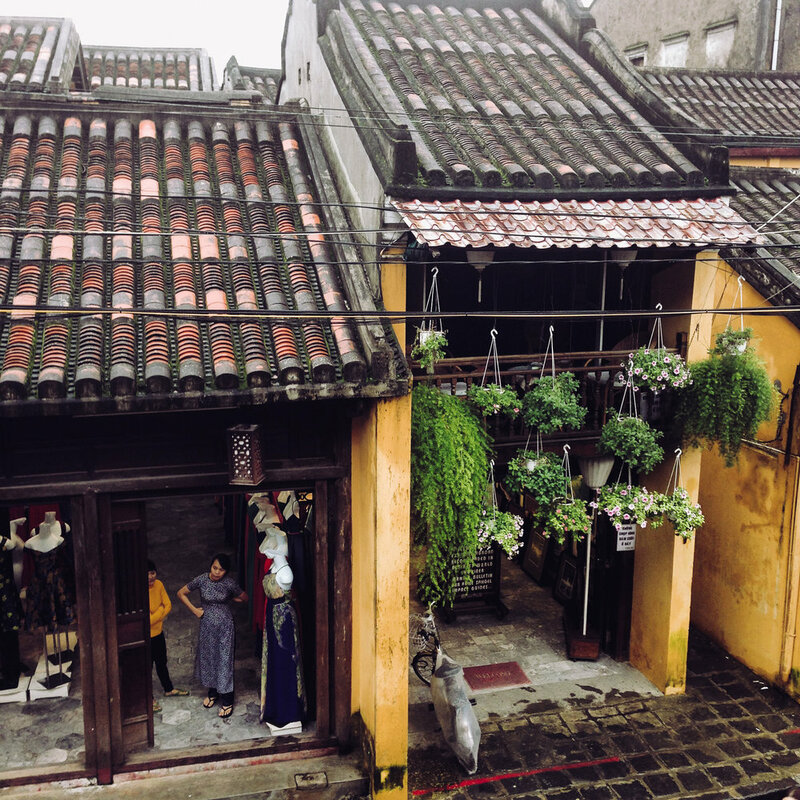 Your experienced guide Anna Barnes has chosen artisans and locations that will capture the essence of Hoi An. Lets meet the local artisans and have some fun. Highlights include a hands on cooking class with Anna’s good friend Linh in her family home. Another highlight will be visiting the home of specialty tofu makers and learning how the Vietnamese make tofu in a village home, for sale at the markets. A H’mong embroidery session on indigo dyed hand woven hemp cloth, a sunset photography lesson (smart phones allowed!) 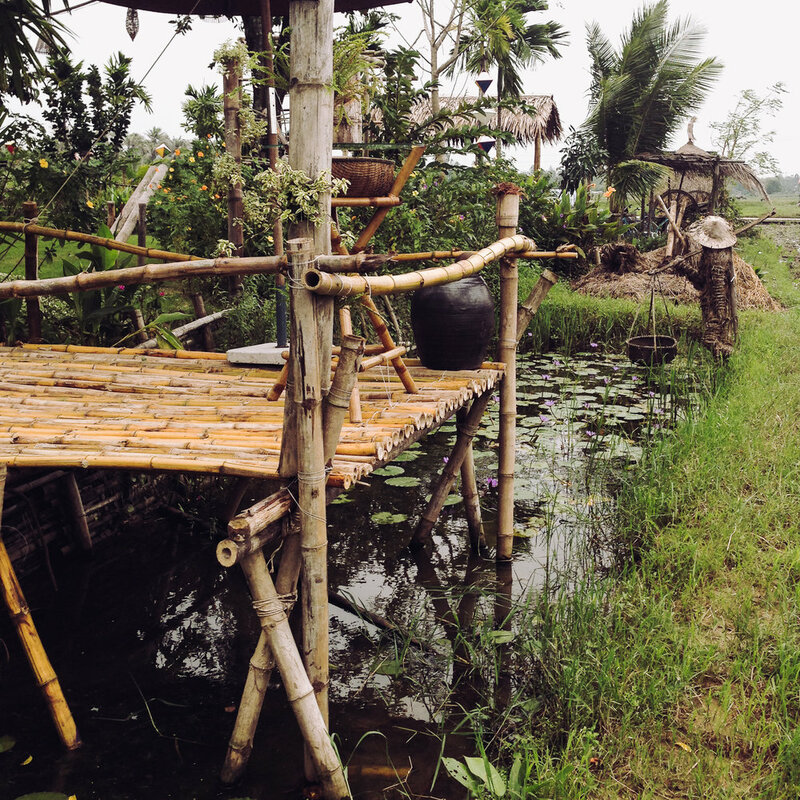 amongst the rice paddies and a bamboo carving workshop are also included. Anna has been sketching the market vendors in Vietnam for many years now, and will be showing you how to capture these scenes too! Please ask for the itinerary for the specific workshop schedule that is planned. We will be accompanied by our Vietnamese english speaking guide (and Annas good friend) for all our outings, so rest assured, you will have wonderful interactions with the locals! Bring your favourite creative tools for this experience. Your sketchbook, your watercolours, pencils, journal, camera, notebook. iPad or GoPro. What do you prefer to use to capture and tell stories? Ask Anna for guidance if you are not sure. You are also welcome to simply come along, and soak up the atmosphere, enjoy the company, the town and the food. We slow travel through the emerald Rice Paddies, to blooming Lotus Fields, farmers at work, water buffalos, ducks, bustling Markets, historic Assembly Halls, Buddhist Pagodas, quaint Vietnamese Coffee Houses, Organic Herb Gardens, the famous Japanese Bridge, fishing village and the ancient Cham ruins, Mi Son. Evenings, a balmy walk along the river side enjoying the beautiful lanterns and night markets Hoi An has become famous for. Anna has chosen street food vendors and comfortable restaurants that serve delicious local Vietnamese cuisine. She will help with ordering food, conversing with restaurant staff and can answer your foodie questions. This is where we will enjoy night scenes, food and people. Discussions about the art, food and culture of the region will be encouraged. Book lists and movie recommendations will be given well before departure, and these will be discussed too. You will be escorted back to your hotel, or if you wish to find a bar or dancing venue recommendations are included in your comfort pack. Hoi An is a safe, vibrant and fascinating town in Central Vietnam. It has become tourist friendly over the years, and all your travelling needs can be easily met, yet the town still retains an original authentic cultural atmosphere. It has attracted more and more artists, artisans and craftspeople from all over Vietnam. Anna looks forward to participating in the unique learning experiences with you that the wonderful residents of Hoi An offer. We will also have enormous fun thanks to the light hearted nature of many of the Hoianese. The people are so wonderful and welcoming of visitors, people exclaim! $3500 (land content). All prices AUD. Small group size. Minimum 5, maximum 10. 10 nights accomodation in 4 star hotel (locally owned) with pool. Anna Barnes founder of Art Food Culture is a long time traveller to Vietnam. She has a Masters in Design Science, specialising in 3D Animation from The University of Sydney (being awarded the Dean's Honour Award) and a Bachelor of Arts in Fine Arts and Social Anthropology, specialising in South East Asian Studies. Anna was the Executive Chef of Sydneys "Best Specialty Restaurant" winner and has worked over 25 years in Sydney restaurants, working with specialty cuisines, and creating authentic cultural menus. She was the owner of "Fiasco and Debacle", Sydneys largest artisan cafe cake manufacturer for 8 years. She has implemented and delivered cooking classes, held workshops, been a cooking demonstrator, facilitated "Artist Way" groups, and has worked for Team Building companies. She currently leads Creative Retreats in Vietnam and teaches Travel Sketching and Nature Journalling in The Blue Mountains. Her passion is to help people connect, transform, recover and thrive through art, food and culture. She is an artist, a mother, traveller and a naturalist and lives in The Blue Mountains, NSW, Australia with her family. Your Host Anna Barnes, on location. This retreat is going ahead. To join in, please contact Anna for payment method details. Total land content cost $3,500. Due Now. All prices AUD. Guests with a reserved place, please go ahead and purchase your airline tickets, visa and travel insurance. Travel insurance is mandatory and a copy must be supplied before commencement.